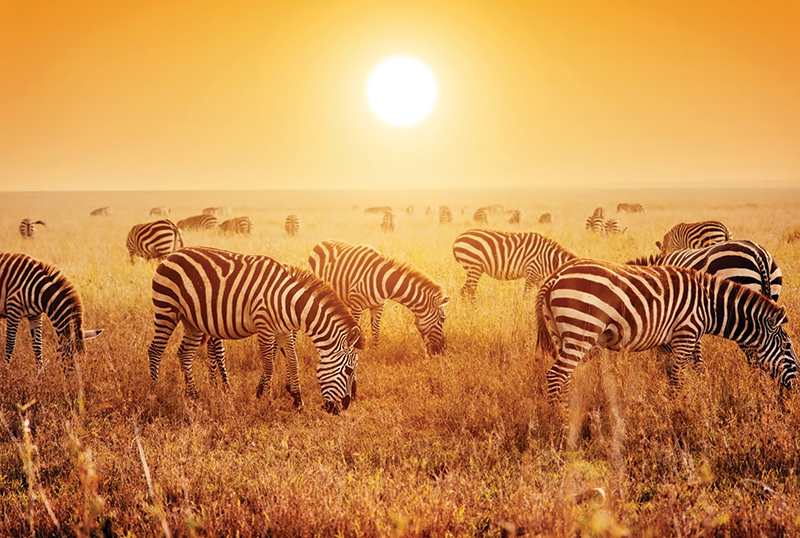 From its sweeping savannahs, snow-capped mountains, and azure lakes to the lush rainforests, pristine beaches and searing deserts; Kenya not only boasts a kaleidoscope of colours but it is teeming with wildlife, attractions, and a vibrant culture. Nairobi is the perfect place to start your African adventure. This cosmopolitan capital is the heartbeat of Kenya with its delicious cuisine, distinctive architecture, and local Maasai people. Nairobi also has the wildlife-packed Nairobi National Park on its doorstep and is the gateway to the vast Masai Mara Reserve and Amboseli National Park. Mombasa, Kenya's second largest city and biggest port, combines a rich cultural heritage with multi-national cuisine and modern attractions. 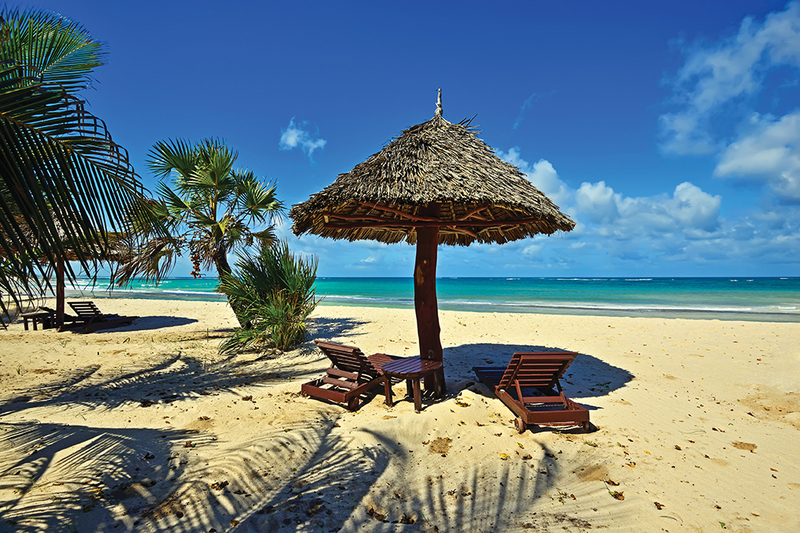 The white sands of Nyali, Bamburi and Diani Beaches are perfect for sunbathing and swimming. The vast coral reefs around Mombasa Marine National Park and Wasini Island are also a haven for snorkelling and diving enthusiasts. With over 45 national parks and reserves spread across the country; no trip to Kenya would be complete without experiencing a safari in search of the Big 5 - lion, elephant, buffalo, leopard and rhinoceros - not forgetting giraffes, ostriches, crocodiles and zebras too! Kenya is a popular destination all year round; the weather between November and March makes it a great place to head for a winter sunshine break. The dry season between late June through to October is considered to be the optimum time to view wildlife; with the wildebeest migration reaching the Masai Mara in July and leaving again for the Serengeti in October. For many, a Kenya luxury holiday wouldn't be complete without going on safari. The Amboseli and Tsavo National Parks and the mighty plains of the Masai Mara and Serengeti are the best places to see the 'Big Five' roaming in their natural environment. The Great Rift Valley is an awesome sight not to be missed too during your visit. The Kenyan capital of Nairobi offers a plethora of sights and attractions. Enjoy your own 'Out of Africa' experience at the Karen Blixen Museum and discover the city's diverse culture and natural history at the National Museum of Nairobi. 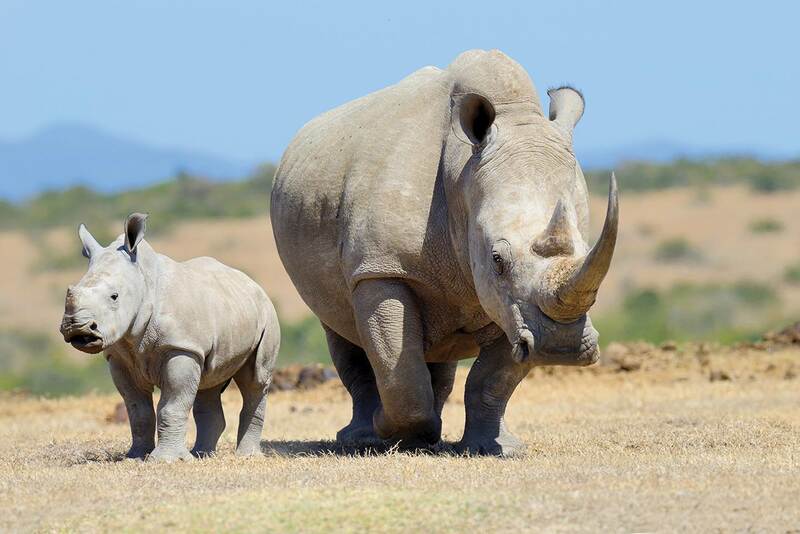 Get close to the wildlife by visiting the orphan elephants at David Sheldrick Wildlife Trust and the endangered Rothschild's giraffes at Giraffe Manor. Mombasa is the best place for diving and snorkelling along the coral reef-fringed Mombasa Marine National Park and Wasini Island. Nearby is Malindi, home to Malindi Museum and the Falconry of Kenya rehabilitation centre, and Lamu Island where you’ll find the UNESCO World Heritage Site Lamu Old Town. Head to the banks of the Ewaso Nyiro River to visit the Shaba National Reserve - where George and Joy Adamson raised Elsa the lioness of "Born Free" fame - and to experience the unique Sarara Singing Wells at the Samburu National Reserve. Kenya's food embraces a world of flavours. Whether you're looking for gourmet dining or fast food, you're sure to find something to your taste in Nairobi and Mombasa. Try unique Kenyan cuisine with its exotic blend of herbs and spices and locally sourced ingredients. Dishes such as ugali, mukimo, matoke, mandazi, maharagwe, and nyama choma feature on traditional restaurant menus. Tusker lager and Mnazi palm wine are the perfect accompaniment to your meal. Nairobi and Mombasa both have multi-screen cinemas showing local and Hollywood movies and also a few local nightclubs which stay open until the early hours. Most hotels and resorts have their own entertainment programmes with traditional live music and dancing.